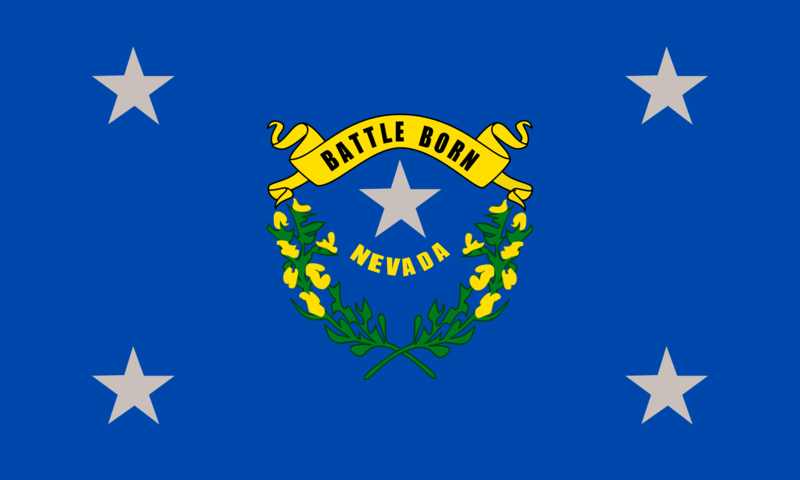 Nevada was the 36th state to join the United States on October 31st, 1864. Carson City is the capital city of Nevada where the state motto is “All for Our Country.” Nevada has several state nicknames like the “Sagebrush State”, the “Silver State”, and the “Battle Born State.” Nevada became famous in 1859 because of the discovery of the Comstock Lode, the richest known U.S. silver deposit. Since then Nevada has become the largest gold producing state in the United States, and is second in the world only to South Africa. Aside from producing precious metals, Nevada has become the gambling and entertainment capital of the United States with Las Vegas having more hotel rooms than any other place on earth. While most of Nevada is a desert this changes dramatically when you are near Reno and Elko and the Sierra Nevada Mountain Range where there is snow for approximately half of the year. Nevada also has more mountain ranges than any other state with the highest point being the top of Boundary Peak with an astounding 13,145ft summit peak. Reno is located in a high desert on the eastern side of the majestic side of the Sierra Nevada mountain range, approximately 45 minutes away from Lake Tahoe National Forest. Reno boasts a rich culture with arts, casinos, and amazing natural surroundings. You can always find something to do in Reno. The Reno-Sparks-Lake Tahoe is home to over 18 world-class ski resorts and over 40 fantastic golf courses. 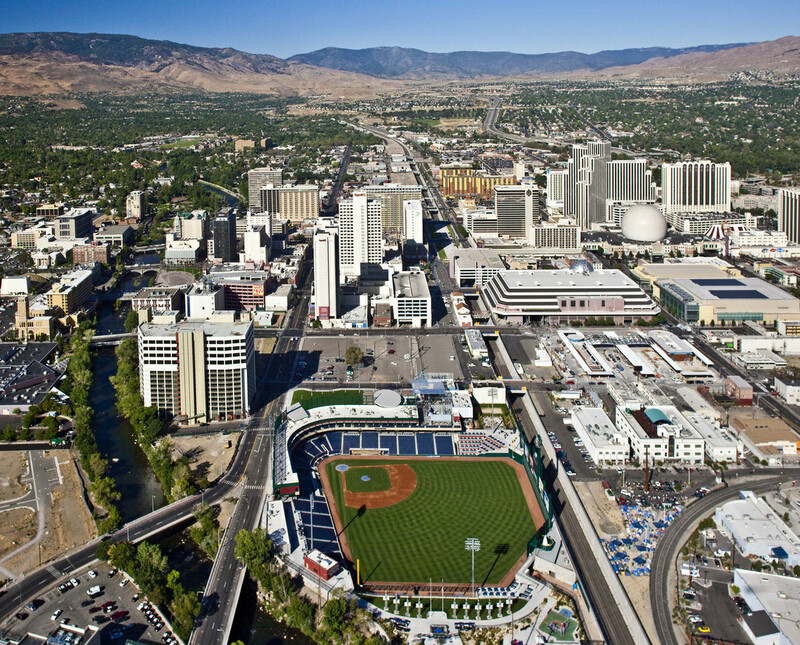 There are also over 60 gaming locations located in or around Reno, a National Bowling Stadium, the National Automobile Museum, Rancho San Rafael Park’s Arboretum and Wilbur D. Great Basin Adventure, world-class fishing, biking, hiking, camping, climbing, and numerous other outdoor activities. The sheer amount of activities available to residents of this area is hard to beat. With an average altitude of approximately 4,500ft, Reno offers four distinct seasons with very few climate extremes. During the winter, average temperatures range in the 30’s to summer highs in the low 90’s, and because of the low humidity, those cold winter days do not feel so cold and the warm summers nights are ideal for relaxing with family, friends, and loved ones. While rain is scarce, snow is a near certainty and the sun is generally shining for more than 300 days a year. One of the other amazing benefits of living in Nevada are the tax benefits because Nevada does not require corporate, personal income, unitary, inventory, or franchise taxes. Due to its centralized location, you will be located in a transportation hub with an abundant amount of available industrial, office, and commercial space for entrepreneurs and business owners to take advantage of. Reno also boasts an advanced telecommunications infrastructure and business-friendly government regulations. Combine this with the availability of multiple activities, shows, tradeshows, and an amazing entertainment scene and you will find that the Reno-Sparks-Lake Tahoe area is an extremely attractive place to live.